We all know that regular exercise in general, cardio, swimming and weight training etc are all good for the body and mind but not until recently have the benefits of strength training on mental health been explored. In a study last year published by Jama Psychiatry examined the results of 33 controlled studies involving 1.877 participants on depression and strength training. Results showed that ‘resistance exercise training was associated with a significant reduction in depressive symptoms’. If you’re anything like me and find the idea of navigating weights, reps and sets overwhelming or are worried about developing bulging muscles then look no further. 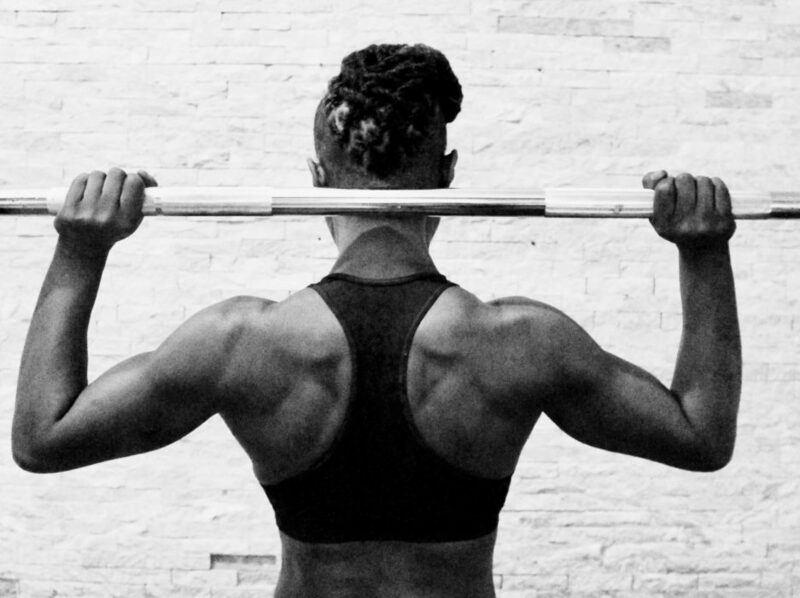 We spoke to Allison Bailey founder of Warrior Fitness. Here she talks us through why she started weight training, the benefits and debunks a few myths. I read on your website that you discovered weight training in your 40’s, what made you decide to start weight lifting? I took a keen interest in getting fit and healthy at a most poignant time in my life – my brother took his own life and it was a bit of an awakening. It made me take a good hard look at my life and I decided that for the remaining time that I have left, I want to become fitter, healthier, and happier, so at age 43 I met my partner Shane and he was already an accomplished sportsman personal trainer and he introduced me to strength training. Does weight training bulk you up? That age-old Myth! So, let’s rebuke it. It’s usually the men who want to “bulk up” and the women who want to “tone up” – bulking up means adding a lot of muscle mass to the body and sometimes reducing body fat. – think male body builders, rugby players – usually male. At Warrior Fitness London we like to call it “body sculpting” – a combination of basic weight lifting and fat-burning exercise. With our ‘Time Under Tension’ method, you get stronger without getting bigger. In order for someone to ‘Bulk Up’ they have to eat large amounts of exactly the right food. Then they have to train regularly, i.e. 2 hours / twice a day. 5 – 7 days a week. If you’re not doing all of that, the result is that you’ll get stronger and while you will gain muscle, it will generally be lean. PLUS, Testosterone helps, and women just don’t have the amounts men do. Basically, it’s severely hard work for anyone to ‘Bulk up’. Chances are most people don’t even have the motivation to achieve it even if they want to. So, don’t worry about that too much is my advice. Exercise is well known to help improve mental health but there is more and more evidence to suggest that lifting weights in particular can help with depressive symptoms would you agree with this? From my own experience with clinical depression, medication can work for some people but not all — and treatment can be expensive – especially if you have to pay for your prescriptions! Medication didn’t work for me, it dulled my senses. Therefore, I believe that exercise can be a remarkable component of the arsenal of depression treatments. Lifting weights or going for a run does not automatically cure depression. Some cases are more severe, and some cases may not respond as well to exercise as other. However, lifting weights and the result of getting stronger creates a sense of achievement. It’s a simple formula that if you stick to it, can’t really fail. Lift weights, eat well, be consistent and every few weeks you will get improvement. I believe it can create a sense of control in an otherwise crazy lifestyle. If that aspect of your life is in order, it creates the sense that you can find a way to control other aspects or at least give you the confidence to confront that which is creating stress/anxiety. If nothing else, it’s at least a little escape from those things. What are the other benefits of weight training compared to other exercises/work outs? Weight training benefits your heart, improves your balance, strengthens your bones, and helps you lose weight. What advice would you give someone who was thinking about starting weight training? Go for it, training makes you fitter, stronger and happier, you’ll have a hell of a lot more confidence. But please, please, make sure you are doing it right. Look at You Tube vids or book in for personal training session with me at Warrior Fitness and let me give you the basics. It’s very easy to waste your time in the gym if you’re not doing it right. What are the common mistakes people make when weight training? Not asking for advice, not checking that their form is correct, never mixing up or progressing their fitness programmes. What are your top tips for weight training? Women should try and lift four times a week if possible, training each muscle groups twice a week, for example your programme could be day one- lower body and core, day two, upper body with core day three – rest – day four – repeat day one – day five – repeat day two, then rest for two days. Try to incorporate compound movements into your sessions. Compound movements are exercises that incorporate multiple muscle groups at the same time. Compound exercises such as deadlifts, pull ups, lean and press, not only burn loads of calories because they require more effort and energy to perform, but because they work different muscles at the same time, you’re effectively killing two birds with one stone, so you can lift heavy and then go home. Is weight training suitable for everyone? I believe so, to some degree, and as long as it’s done correctly with the right exercises and weights. It’s better to build up strength through a balanced diet, a sensible amount of cardio and progressive daily weight training. Ultimately, this will help you achieve your weight-loss goals as your levels of all-round activity rise. Weight training should be part of everyone’s lives, giving us the strength to walk, run and play, to wake up full of energy, to sleep better, suffer less joint pain, to lose those last few stubborn pounds and to keep ourselves nimble and resilient as we age. How long and often should you train? I think there’s a reason most classes in gyms are an hour long, (although I know some are heading toward the 30-45-minute limit). It’s about the right amount of time to work at a good intensity without over doing it. But there’s nothing wrong with going for a 90- minute session if you’re feeling it. To get results you’re realistically looking at five days a week. For maintenance of your body, three times a week will cover you. Do you have any pre-work out tips? Make sure you’re well rested and fed. Allow your body to warm up Stretch and use a foam roller to get loose, you don’t want to feel tightness while you’re training. Get a plan of action (a fitness programme), get a training partner to keep you motivated and / or a personal trainer to show you the first steps and keep you motivated. Fling on some good tunes from your favourite playlist and get moving. Do you have any post-work out tips? Have a good meal ready. After your workout, your body wants calories to repair itself as strongly as possible, ready for the next time you punish it. This is a good time to treat yourself. Try to not be too active for a couple of hours, there’s nothing better than sleep to help you recover, but taking it easy is the next best thing.